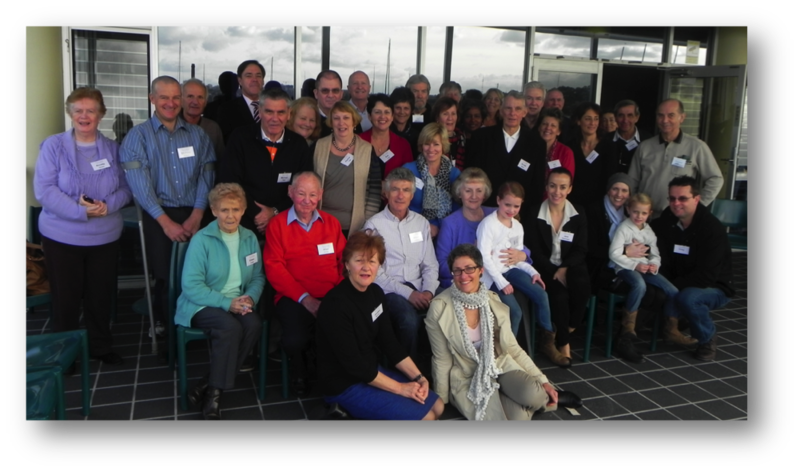 In 2011, we launched our first extrapleural pneumonectomy patient support group. It’s part of a commitment made by The Baird Institute & the Sydney Cardiothoracic Surgeons (SCTS) to provide post-operative support while conducting quality of life research. An extrapleural pneumonectomy is one type of surgery performed to treat malignant mesothelioma involving the removal of a lung. For some time now, Jocelyn McLean, a specialist lung nurse and an integral member of the SCTS practice, has been keen to get a group such as this going – and it has now happened! The main purpose of these “get-togethers” has been to provide support, friendship and information – relating to both the surgery these patients have experienced as well as ways to assist and support general quality of life. We are very pleased with how well patients have responded to the idea of getting together and so far we have received tremendous feedback from them all. Many of these patients participated in our recovery experience and quality of life research, which Jocelyn presented earlier this year at the World Lung Cancer Conference in Amsterdam. Jocelyn is currently seeking funding to conduct a formal well living program for these patients. In 2011 we held three meetings providing an opportunity for patients to meet and talk to others who have had the same surgery, as well as some of their doctors, nurses and allied health professionals who understand the challenges they face on a day to day basis. We have received lots of emails thanking us for setting up the group including this email which sums up the positive nature of the meetings and the hope and support that comes from getting together. Therapeutic framework and key concepts for the Well Living Program for the Pleuropneumonectomy (EPP) Support Group. A process that involves facing and dealing with adversity and coming out the other side still standing and possibly stronger in different ways. Attending to death really helps you live better…it cuts through the procrastination, compromising and living on automatic – Ian Gawler, Happiness and Its Causes 2012. Sometimes things happen in life that we do not like, or situations occur that we cannot change… It helps to say: this is how it is, not how it was, might have been or should have been. Not how I wanted it to be, hoped it would be or planned it would be. I accept that this is how it is. Now I choose to go on living my life in a meaningful way, according to what is important to me – Acceptance and Commitment Therapy. A Narrative Therapy concept that positions people as the experts in their own lives. Members of this support group have Insider Knowledge that is unique, personal, detailed and specific to the diagnosis, treatment and recovery process they are living (a rich description). This Insider Knowledge is qualitatively different to the medical and health professional team’s knowledge about the patient journey, which tends to be more diagnostic, symptom based and generalised (a thin description). A document that can be shared and added to as often as necessary. In this instance it will be created as a testament to the strengths, skills, values and abilities of group members. They may choose to share it with other patients/survivors and their carers, family members, medical practitioners, other health professionals etc. 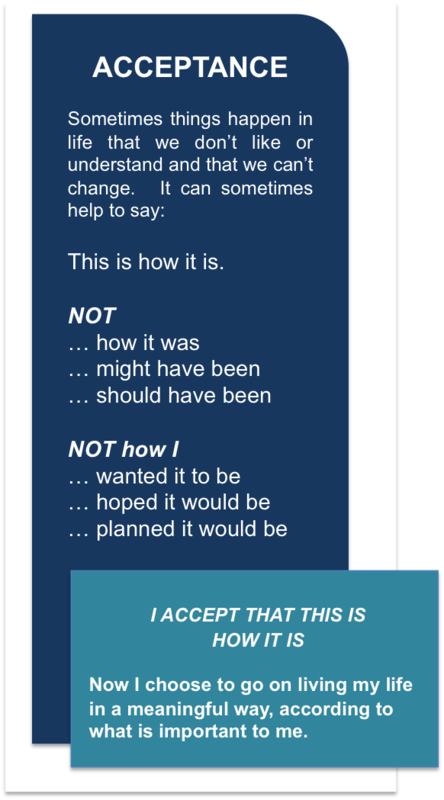 This is often a very powerful therapeutic document for those who have participated in its creation (Narrative Therapy).